Vikki Spruill is the new president of the New England Aquarium in Boston. 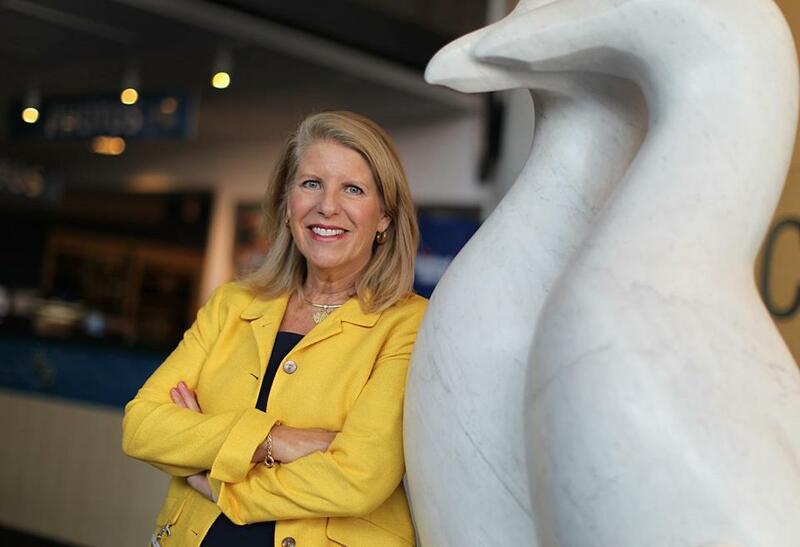 Meet Vikki Spruill, New England Aquarium’s new chief executive, and all you can think about is this: Don Chiofaro may have finally met his match. The last aquarium head, Nigella Hillgarth, departed after only three years, and who can blame her. She faced the prospect of an ugly public battle with the brash developer over the future of the Boston Harbor Garage, which sits next to the beloved institution. Hillgarth, a biologist, returned to her first love: research. Spruill, a PR and communications pro turned nonprofit executive, arrives schooled in what to say and how to say it. But can she handle Boston politics? “I’m coming from Washington, D.C. I get politics,” said Spruill, 61, who spent nearly four decades there, most recently running the Council on Foundations, a trade association for nonprofits. Spruill has only been at the aquarium for a few weeks, but Chiofaro has been eager to talk to her. The two are set to meet at her Milk Street office on Monday. What might she say to him? “My first role is to defend and protect this iconic institution in this city,” Spruill told me over lunch at her office last week. She describes the aquarium as a “wary neighbor” of the garage. Here’s why: Chiofaro, the developer of International Place, wants to build another signature building, tearing down the garage and putting in its place a 600-foot tower. The two neighbors continue to spar over whether a prolonged construction and the loss of a major parking facility will financially cripple the aquarium. This, despite Chiofaro agreeing to compensate the organization up to $30 million if the aquarium’s visitor numbers fall below its average of 1.37 million per year and contribute $10 million towards its “Blue Way” vision of creating open space stretching from the Rose Kennedy Greenway to the harbor. The question no doubt on Chiofaro’s mind is what would it take to be good neighbors again. Spruill is not ready to show her hand. “It’s very challenging to be specific when we haven’t seen a plan,” she said. Chiofaro is expected to submit a much-anticipated plan to the city, even as the Conservation Law Foundation and the Harbor Towers, another neighbor of the garage, have filed lawsuits that could block the project. For his part, Chiofaro tells me it has been hard to get a deal done without a permanent aquarium leader. Since the developer bought the garage in 2007, the aquarium has had three CEOs and two interims. Now, I don’t want to leave the impression that Spruill was only hired to navigate waterfront politics. Far from it. She’s right about that. Protecting the ocean and saving the planet is probably more important than whether Chiofaro gets to build the tower he wants. Spruill’s vision is to have the aquarium become a “new generation conservation organization” as it turns 50 next year. 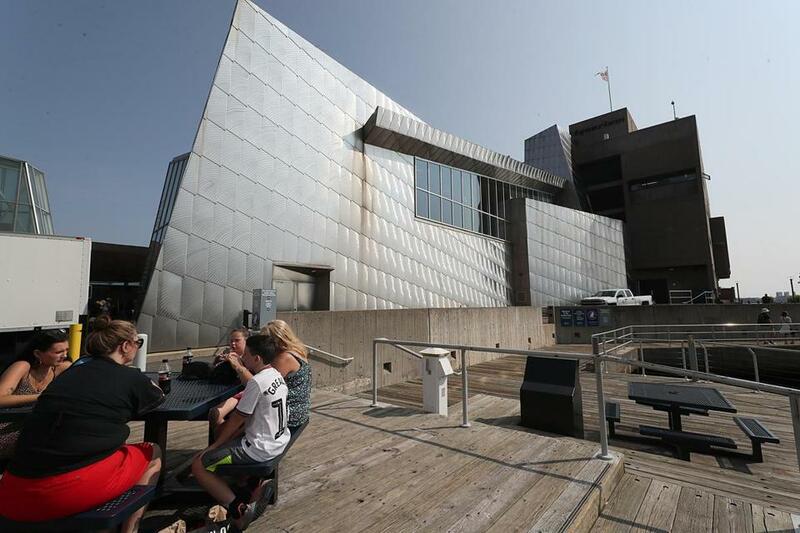 The New England Aquarium, nearing its 50th anniversary, has a new chief executive. Spruill went into communications, working at advertising and PR agencies and later started her own firm with two other women. In the late 1990s, Pew Charitable Trusts recruited her to launch SeaWeb, an initiative that increased public awareness around ocean conservation. Outreach to aquariums was a part of her strategy. Later, she became the CEO of Ocean Conservancy, an ocean policy advocacy group, before moving on to run the Council on Foundations. A perfect fit for the aquarium, right? But, wait, there’s more: Spruill is no stranger to New England, having owned a home for 30 years on Nantucket and visited nearly every summer. About a year ago, she was about to head off to the island when a search firm called about the aquarium post. When she arrived in Nantucket, she saw for the first time a pod of right whales off the coast. Spruill was plucked from an initial pool of close to 90 candidates — a mix of executives at major corporations, and leaders at nonprofits and aquariums, according to Tom Burton, who sits on the board of the New England Aquarium and chaired the search committee. The committee wanted to find someone who could work with the philanthropic and scientific communities as well as navigate local politics. Spruill seems up to the task. Chiofaro, who played football at Harvard, might want to put his helmet on.